1. 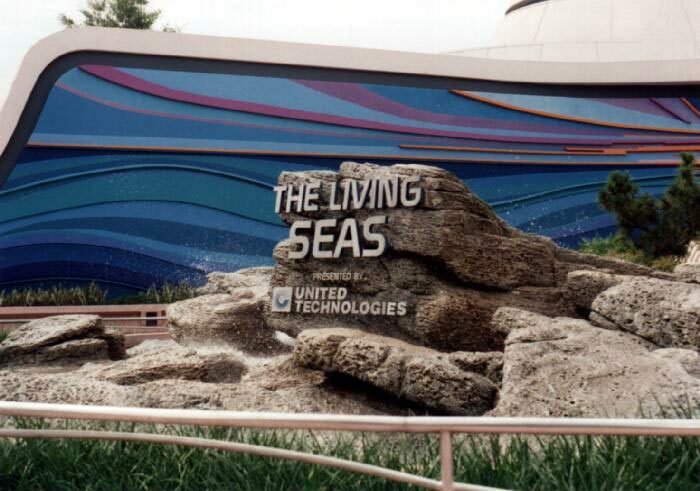 Living Seas Pre-Show – The Living Seas pavilion was one of the last original pavilions to open at EPCOT, opening in 1986. It was a pretty sweet ‘trip’ through a Sealab-esque underwater laboratory where you could see all sorts of future tech for undersea exploration. It also housed the largest aquarium at the time, at 5.7 million gallons of water. They also had a manatee. 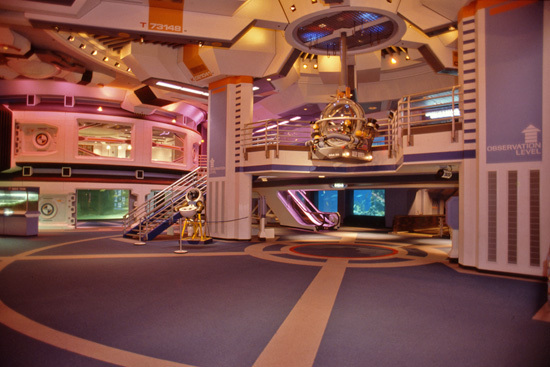 The Living Seas was eventually re-tooled along with much of the rest of the park to be less “Worlds Fair-sy” and more “Disney-brand-sy”. It became “The Seas with Nemo and Friends” and lost most of its forward-looking content in favor of the ability to have a realtime conversation with an animatronic sea-turtle. There are pieces of the original experience her eand there around the internet. I stumbled across this video of the pre-show movie. It’s gorgeous and the fact that it’s shot with a handheld VHS camera, to me, makes it even more gorgeous. Parts of it look like a Boards of Canada video. 2. Presto Popper – This is one of those things that just screams ’80s to me. 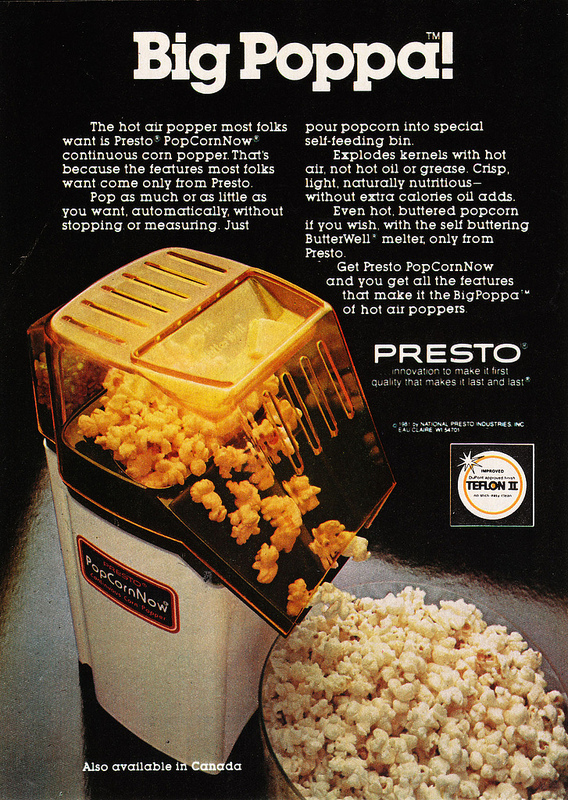 It seemed like every house I visited growing up had a Presto popcorn popper, with its signature yellow chute at the top. The layout of the ad is pretty fabulous, as well. This made it back onto my radar, oddly enough, when I learned that these are actually really good for roasting your own coffee! I’m keeping my eyes peeled at garage sales and thrift stores in the hopes that I can nab one. 3. 1979 Del Taco Ad – When I was little I had my first soft taco ever from Del Taco. For about 4 or 5 years, I assumed that the soft taco was only available at Del Taco. Fast forward to today, and look at how the tables have turned. Everyone assumes you want a soft taco when you order a taco! You have to specifically request a hard shell, and even then some places don’t have it. Did we lose a war? Anyway, here’s an ad for Del Taco from 1979 that has some great logo design and animation at the end of it. 4. McDLT – Speaking of fast food, this was a terrible idea from the ’80s concocted in the interest of one-upping Burger King’s Whopper. McDonalds thought to up the freshness ante by separating the lettuce and tomato in a separate container until the last possible moment. A separate styrofoam container. So now, instead of the sandwich occupying one nasty, non-biodegradable styrofoam container, the sandwich was in two nasty, non-biodegradable styrofoam containers. 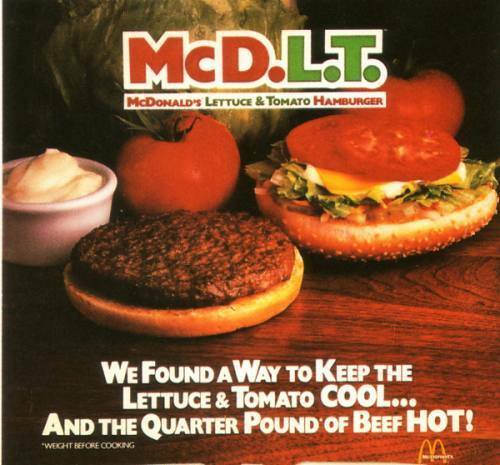 The environmental concerns of the packaging caught up with them, and the McDLT was discontinued in the early 1990s.